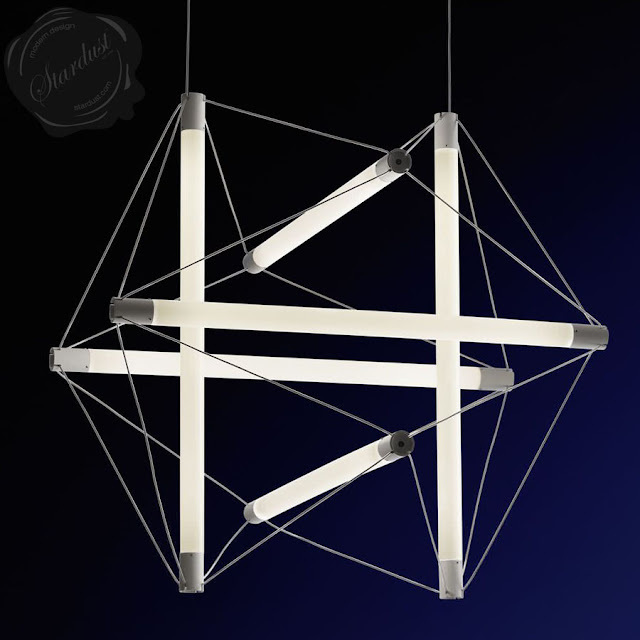 This is Light Sculpture; part light - part sculpture: a sleek contemporary hanging pendant light fixture by Ingo Maurer from Stardust.com. 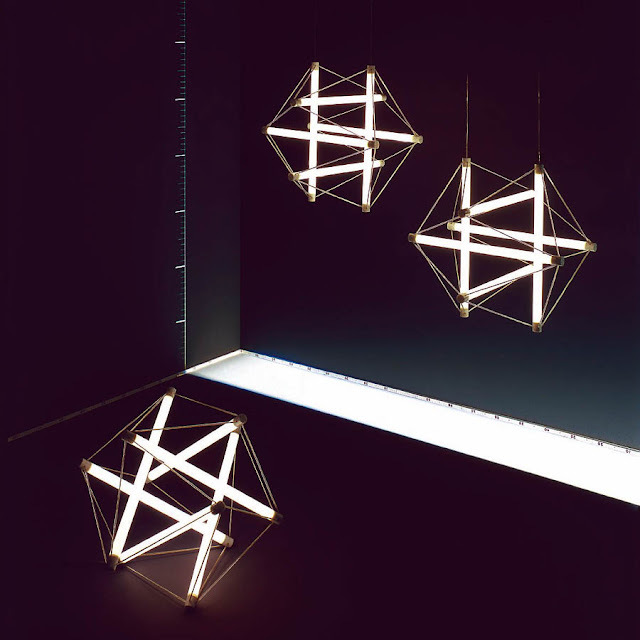 Peter Hamburger collaborated on the original Light Structure Lamp with German lighting designer Ingo Maurer, and Maurer’s affection for the floating modernist Bauhaus style structure has prompted him to re-create the lamp for the 21st century. The 1960s version of the Hanging Light Fixture used lumiline bulbs, which are similar to fluorescent lights, and die quickly. Longer lasting LED lights are the updated choice (and the mandatory one, soon: Ikea, for example, is going 100% LED, and phasing out all of their lighting products that don’t fit the bill), so Maurer has taken on the task of bringing back a reincarnated version of the original, outfitted for today’s consumer. 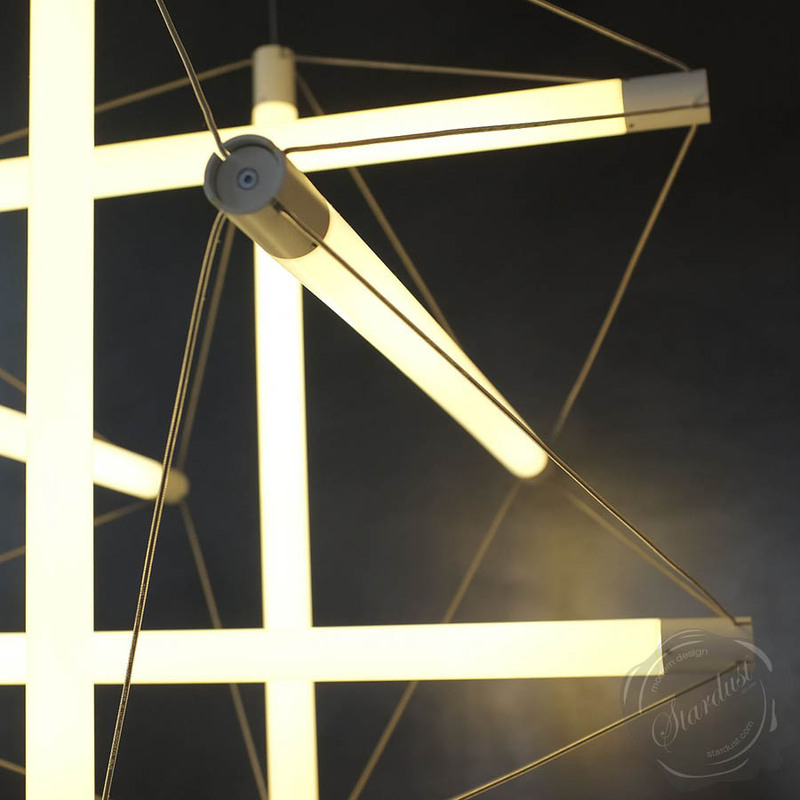 The LEDs make the cost jump up but preserve the glow in the glass and acrylic tubes for far longer, which seems like the only logical choice—can anyone imagine changing those light bulbs?